J.J. is a Property and Casualty Insurance Broker, Certified Insurance Counselor (CIC) and Licensed Insurance Advisor (LIA). He works primarily with business managers and owners, and in high-risk industries. 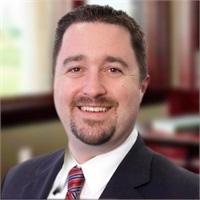 J.J. has 17 years of insurance and risk management experience. He was Business Development Manager for Reynolds, Barnes & Hebb, Inc.’s Commercial Insurance division and Business Insurance Executive at Berkshire Insurance Group’s Pittsfield, MA, headquarters.